How we engage a legion of football fans every matchday! Chatbots offer a unique solution to many marketing and customer service challenges, and by harnessing the power of a conversational interface they are simple for humans to use. Read on to find out about our Goalden Minute Magners Celtic chatbot or get in touch today to talk about how a chatbot could help your brand or business. 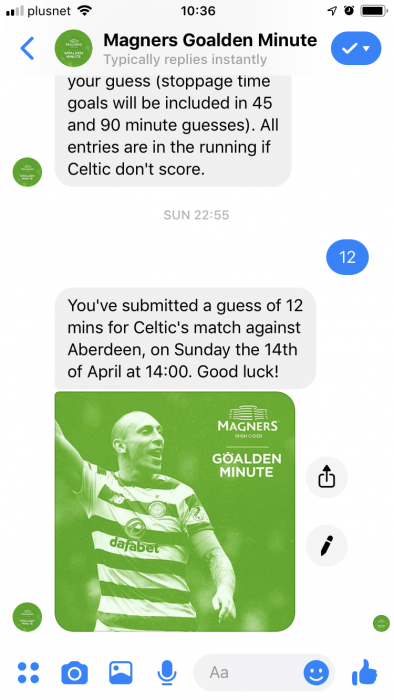 In order to leverage Magners’ sponsorship of Celtic FC, at the start of the 2018 SPFL season we created the Goalden Minute Bot using Facebook Messenger. 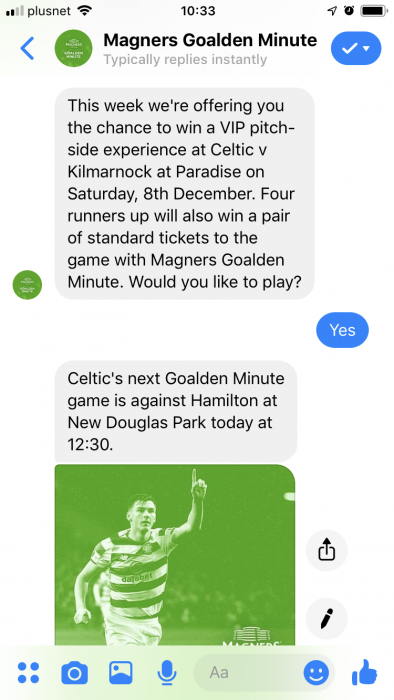 The chatbot tasked consumers with predicting the minute in which Celtic will score their first goal in an upcoming fixture for the chance to win prizes including a VIP match day experience, matchday tickets, signed shirts, and Celtic FC footballs. Consumers were able to submit a guess ahead of kick-off time to be entered in the prize draw. The Messenger automated conversations include branded images of players, as well as copy in line with the established Magners tone-of-voice. Our team also had to consider how the chatbot would function if Celtic F.C. failed to score, or if no consumers guessed the correct minute. The chatbot allows for content to be refreshed easily to fall in line with the season’s Magners x Celtic FC narrative, creative messaging, and any changes to the Celtic FC squad. Our development team also created a bespoke CMS to be used throughout the season. It allowed our content managers to manually create and automate new Messenger activations around different fixtures as well as select the lucky winners. The chatbot resulted in measurable increases in brand awareness and engagement. 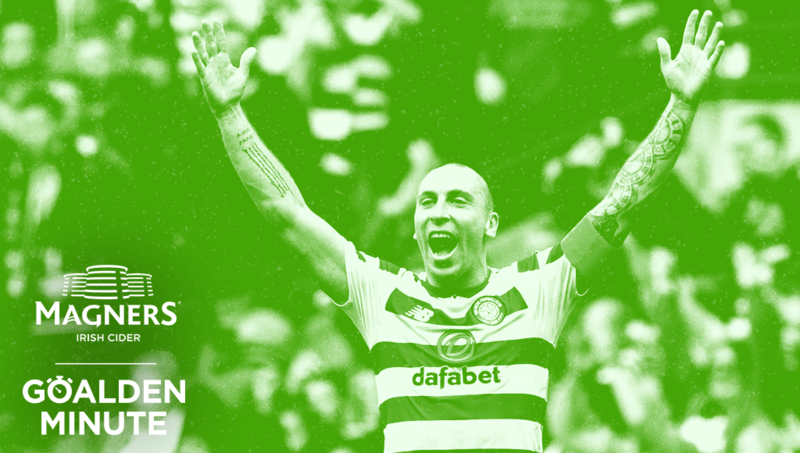 Supported by paid promotion across Facebook, Instagram and Messenger, the first launch around Celtic’s Betfred Cup semi-final match against Hearts reached over 81,500 users. Amazingly, 44 different users correctly guessed the Goalden Minute. The brand is currently using the Goalden Minute Bot for most big fixtures this season, and generally achieves in excess of 1,300 entries per match. Do you have an idea for a chatbot for your company or brand? Or would you like to give us a blank slate to propose some of our ideas to you? Drop us an email or check out some of our other work.